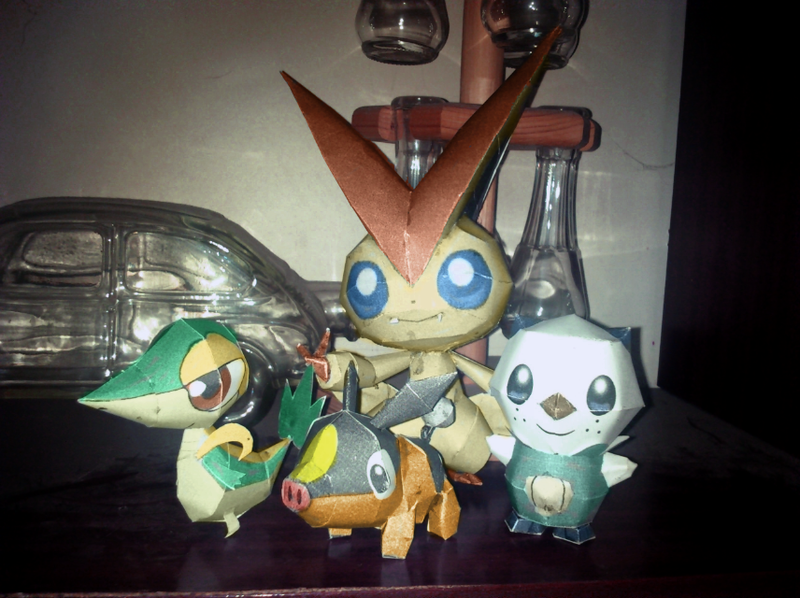 Victini is a small, rodent-like Pokémon. Its large, pointed ears are shaped like the letter V, possibly in reference to its name or the generation it was introduced in. Victini's eyes are large for the size of its head, and are blue. Its round head is comparatively large for its small body, and cream-colored, while the tops of its ears, crest, and extremities are all orange. Its bulbous arms and legs are rounded to make a sort of "cuff" before ending with small, three-fingered hands and two-toed feet. 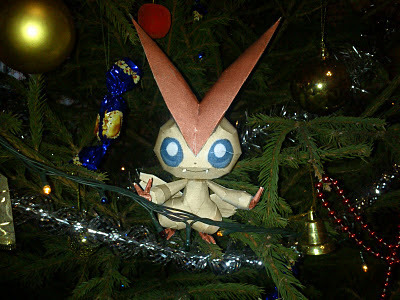 Victini's two winglike tails grant it the ability to fly. Instructions: Start at the V, and add the back hair soon after, start the head by adding the parts connecting to the ears. Finish the whole body before adding it to the head. Finish the model by adding the wings, hands and feet.